Art is a reflection of the society and life around us — it is an artist’s way of commenting on worldly happenings. 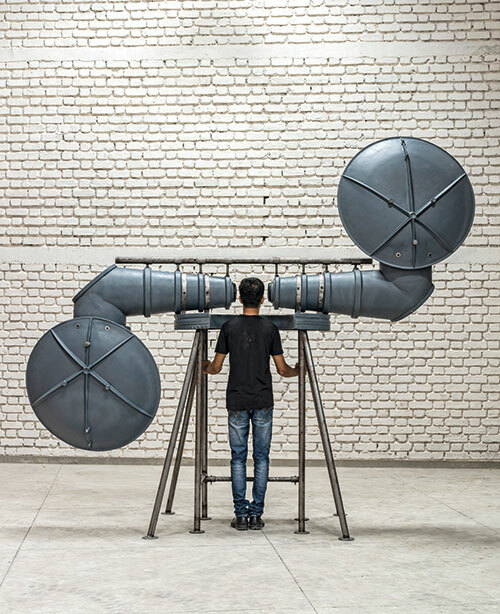 In her latest solo show, acclaimed creator Reena Saini Kallat presents artworks that seek answers to political conflicts. The creations — from Chorus, a sound sculpture that subverts acoustic mirrors used during the second world war to detect enemy aircrafts, to Garden of Forking Paths, a landscape featuring hybrids of species appropriated as national emblems — aim to evoke several histories of conflict and co-existence. Says Kallat, “While we live in a time when we have the tools that can deepen our understanding of the world and each other, there are still so many misunderstandings”. She hopes that viewers will reflect on, and question the ways of the modern world.